The Tom Varn Park Walking and Jogging Trail is in a beautiful natural setting and is in close proximity to a variety of activities and a community center. The Park Office is located at 306 Darby Lane, Brooksville. From south of Brooksville, take Broad Street (US 41) north to Darby Lane which is located just past Cortez Blvd. (SR 50/US 98). Turn left on Darby Lane. Travel for approximately one mile on Darby lane to reach the Darby Lane Park entrance. To reach the Broad Street entrance, continue on Broad Street for approximately a half mile past Darby Lane. The Park entrance will be on the left just before the Broad Street intersection with Ponce De Leon Blvd. (US98). From north of Brooksville, take Ponce De Leon Blvd. (US 98) south to Jefferson Street (SR 50A). Turn left on SR 50A and then left on Darby Lane. The Park entrance will be on the left. To reach the Broad Street entrance, take Ponce De Leon Blvd. (US 98) south to Broad Street (US 41). Turn right on Broad Street (US 41). The Broad Street park entrance will be on the right. From Interstate 75, take SR 50 west into Brooksville. Turn left on Martin Luther King (MLK) Jr. Blvd. Travel approximately one mile on MKL, Jr. Blvd. until it intersects with Broad Street (US 41). At Broad Street turn left and then right on to Darby Lane. Travel for approximately one mile on Darby lane to reach the Darby Lane Park entrance. To reach the Broad Street entrance, turn left at the MKL, Jr. Blvd./ Broad Street (US 41) intersection and continue for a quarter of a mile on Broad Street. The Broad Street Park entrance will be on the left. 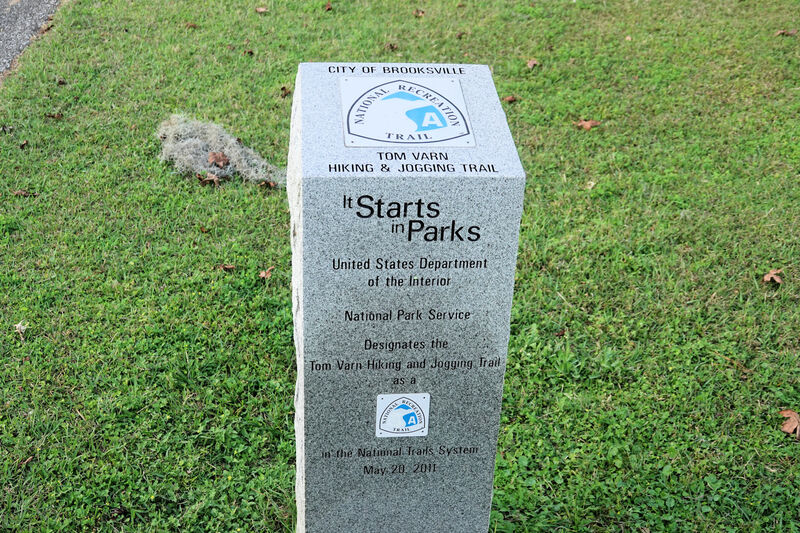 The City of Brooksville's beautiful Tom Varn Park offers numerous top quality recreational facilities for local residents and visitors. 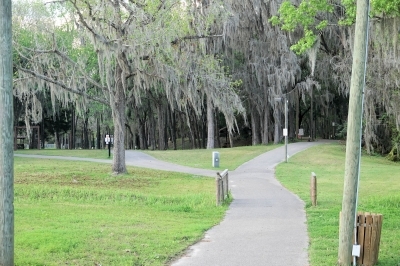 The variety of activities include paved walking /jogging trails, fitness course, lighted pavilions, horseshoe courts, adult softball complex, youth softball complex, racquetball courts, stadium, outdoor/indoor basketball courts, tennis courts, lakeside picnic area, kids playgrounds, Jerome Brown Community Center and the Quarry 9 Hole Executive Golf Course. The trail is especially appealing due to the green canopy of trees that overhang the trail giving trail users a feeling of being in a green lush serene forest, shaded from the sun. It stretches in a northerly direction from the main Park entrance. The first 600 feet of the trail is located in an open area adjacent to the golf course, but it soon becomes forested with overhanging branches of ancient oaks and towering pines. The trail gives a feeling of serenity whether one is on a morning walk, an afternoon jog or an evening stroll. The path is organized in a loop configuration with an eastern loop lying within a forested area that includes picnicking sites and a lake. The western loop is on the other side of the lake and connects to softball fields and basketball courts. The trail offers a full range of beauty in every season of the year, from colorful wild-flowers and butterflies to ducks and fish swimming in the serene ponds. Spectacular sunset views are offered from the City's Quarry Golf Course vantage point. In the late 1960's, the widow, Mrs. Vera G. Cone, of the Cone Mining Family, donated 103 acres of old mining property to the City of Brooksville which today is known as Tom Varn Park. During the 1970's, the first three lighted softball and baseball fields were constructed for public use. The fields are still used by entities such as Dolores S. Parrot Middle School, Hernando High School, Hernando Youth League, and Women/Men's Adult softball leagues. 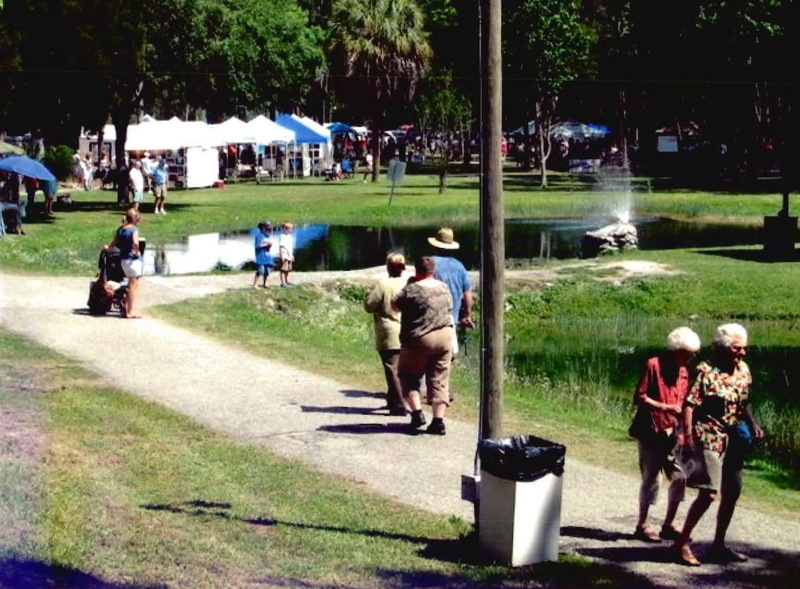 In the early 1980's the Walter Bud McKethan family donated $150,000 in Trust to the City of Brooksville. The City used the funds in conjunction with funding from other grants to construct the Bud McKethan Park, a small pocket park located adjacent to the Tom Varn Park property. 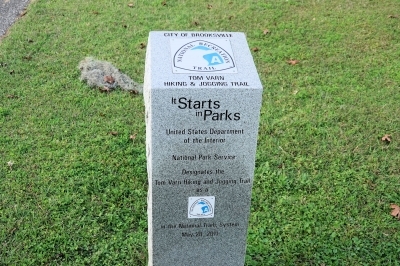 In the late 1980's construction began on the Tom Varn Park Walking and Jogging Trail which was later paved. The trail continued to evolve with the installation of donated lights. The trail was originally 1.4 miles meandering through what is now the Quarry Executive Golf Course, however, the length was adjusted to approximately one mile due to the construction of the Golf Course. In the early 1990's the Junior Service League, the Kiwanis Club and the Mining Association raised $150,000 in cash and donated materials for the construction of the Children's Wooden Park. In May 2000, the legacy of the late Jerome Brown, Philadelphia Eagle defensive lineman and Hernando High School three sport letterman, was honored in Brooksville with the opening/dedication of the Jerome Brown Community Center, an outstanding multi-purpose recreational facility. The trail is open to the public year round with access provided at several locations along the trail. There are, however, a few rules and trail etiquette policies that the public is asked to follow. Parking spaces for the trail users are available at several locations along the trail. For safety purposes no motorized vehicles are allowed on the trail except for emergency and service vehicles. The discharge of firearms on or across the trail is prohibited. No pets are allowed except for certain organized events or service dogs. Trail users are asked to respect others by properly disposing of their trash. 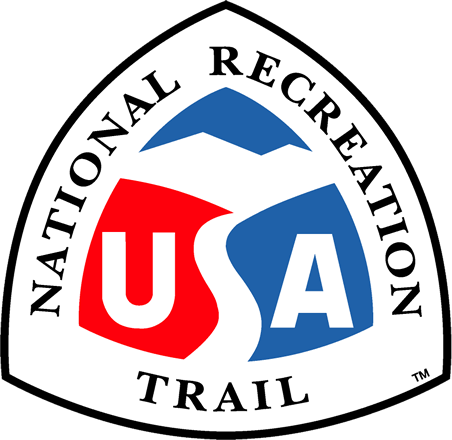 Although the major use of the trail is by individuals, there several organizations that use the trail annually for events. 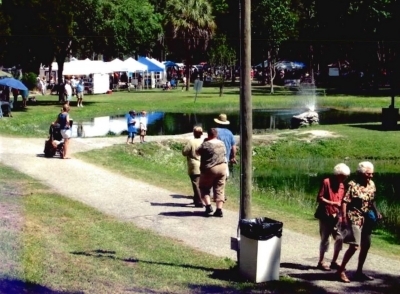 Recent events include the Humane Society's Pet Expo, an Art Exhibition by the Fine Arts Council, and Brooksville's Blazin' Butts-n-Brisket BBQ competition. The trail is offered free of charge to the public. 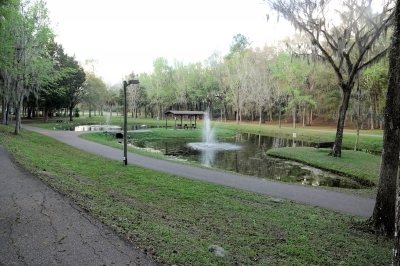 The City of Brooksville Parks/Facilities & Recreation Department manages the Park and Trail. Tom Varn trail. Photo by Jim Walla.